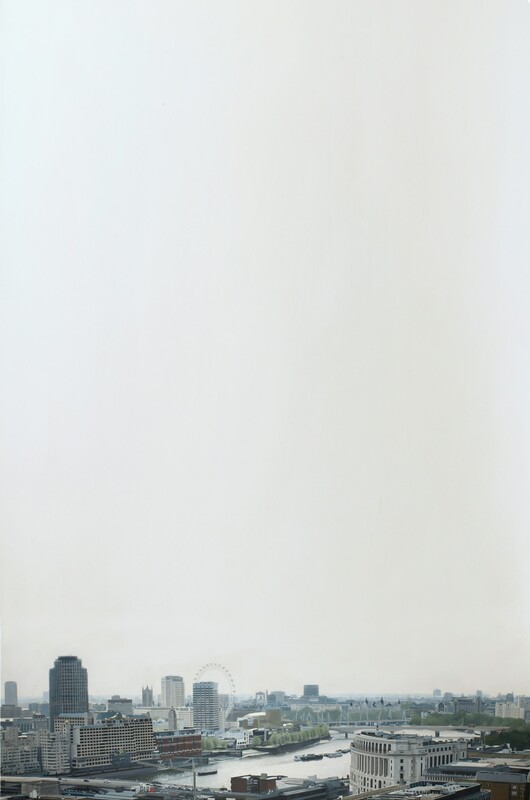 Plus One Gallery is pleased to announce the second solo exhibition of hyperrealist artist Francisco Rangel. 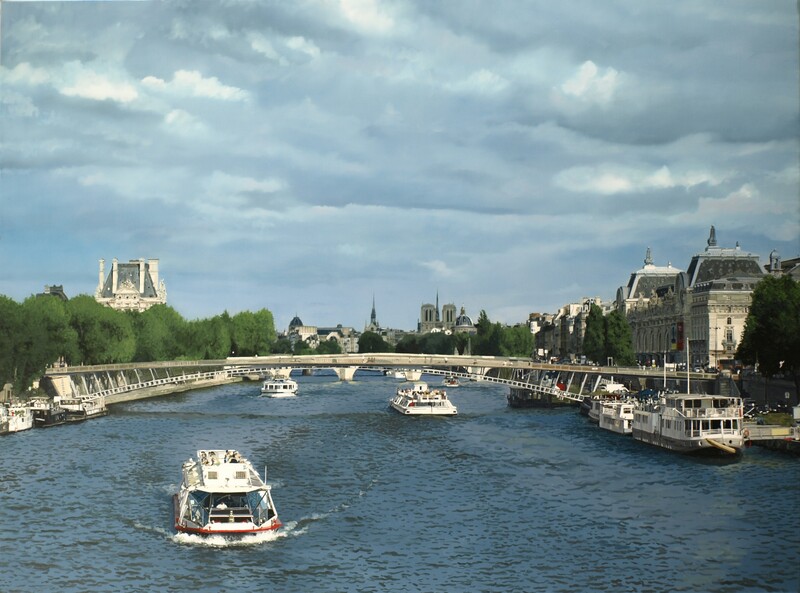 In this exhibition Rangel continues with the theme of his previous 2007 exhibition which focused on the bridges of London, only now, embracing his new home of Paris, Rangel focuses on the iconic bridges of the city and their surrounding environment. What makes each of these works stand apart is the precision in which Rangel captures the individuality of these magnificent structures and sets them against the city's endless looming sky. Having graduated as an architect, Rangel is particularly aware of how and what the architecture of a city can reveal about its society and progressive change. This is especially prevalent in both London and Pairs where much of the cities evolution occurred along the river Thames and the Seine respectively. Rangel sees the grand capital of Paris to be in constant evolution, though at its core remain the iconic bridges that evoke its eternal spirit and history. Among the new works Rangel presents is a sweeping portrait of the magnificent Pont Alexandre III; despite a fairly recent renovation in 1991, this landmark bridge is classified a historical monument representative of 19th century architecture and decoration. Also, Rangel chooses to paint the Passerelle des Arts, which some consider to be the phoenix of Parisian bridges: after enduring extensive bombing during WWII and collapsing in 1979 (after several barge collisions), The Passerelle was returned to its former glory and rebuilt in 1984. These images are more than just urban cityscapes; the work examines and invites a visual dialogue between the painting and the viewer. What is important to Rangel is the spectator's own experiences of the city. Rangel paints in a realistic fashion which he finds is the most efficient way for him to communicate with us, the spectator. His works are visually impressive both in scale and technique, but he also manages to capture the essence of Paris through these bridges. Francisco Rangel was born in 1971 in Querétaro (Mexico). In 2002, he obtained his Masters Degree at the University Complutense of Madrid. Rangel has been painting for more than 25 years exhibiting in Group and Solo exhibitions in South American and Europe predominantly. He now lives and works in Paris.